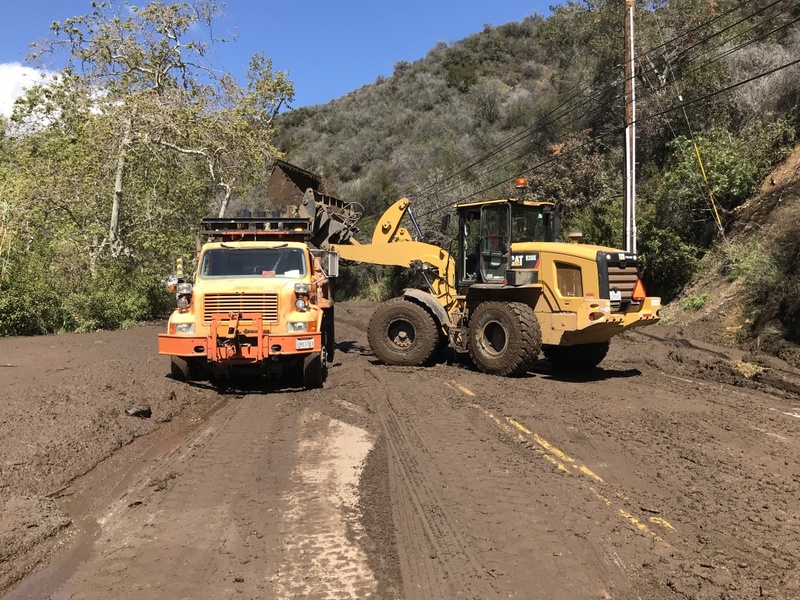 Crews work to clear Topanga Canyon Blvd. after a mudslide in the early hours of Thursday, March 15, 2018. Part of Topanga Canyon Blvd. 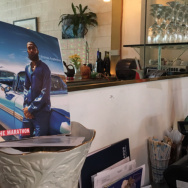 in Malibu is open again in both directions after rain triggered a landslide last week. 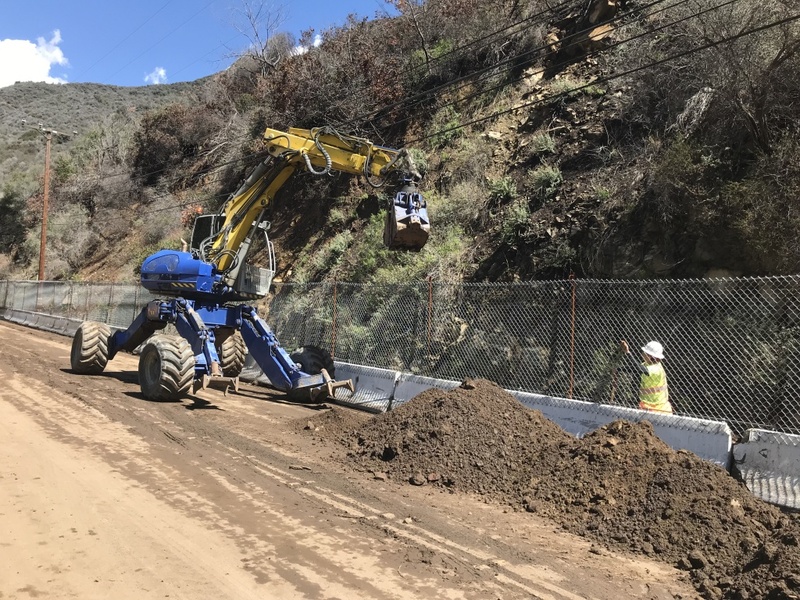 The nearly 4-mile stretch between PCH and Grand View was expected to be closed until Sunday night, but crews managed to get it back in business ahead of schedule. Caltrans officials say there was a substantial amount of debris blocking the road. 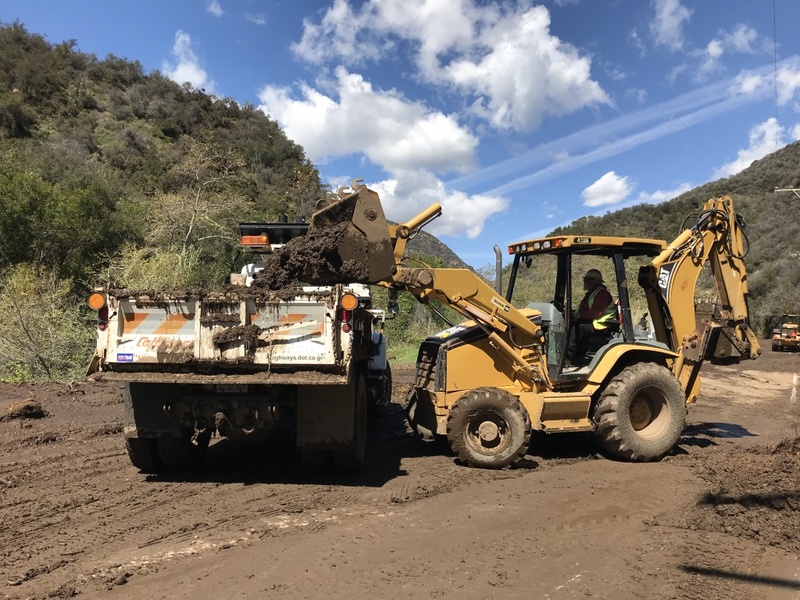 "Over the course of those three days, we hauled away 180 truckloads of mud and rock and debris, which totaled to about 2,500 tons of material," March Bischoff, a spokesperson for Caltrans, told KPCC. Thursday's mudslide, which happened around 2 a.m., was the third in an area that had been burned by the Old Fire in January. After that fire, Caltrans installed several hundred feet of K-rail with fence on top to catch mud and rocks. According to a statement from Caltrans, Thursday's slide "occurred along that K-rail and also outside the parameters of the K-rail" in three separate locations spanning approximately 1,000 feet. Five cars were caught in the flow of mud, rocks and ash. Caltrans says more debris made its way down the hillside on Saturday, but that didn't deter clean-up efforts. Caltrans officials are looking at possible long term solutions for mudslide prevention in the area. That could mean installing more K-rails and enlarging drainage pipes in the area.